Dream Create Inspire: E.A.D. Designs Weekly Monday Hop - GIVEAWAY! E.A.D. Designs Weekly Monday Hop - GIVEAWAY! Welcome to the E.A.D. 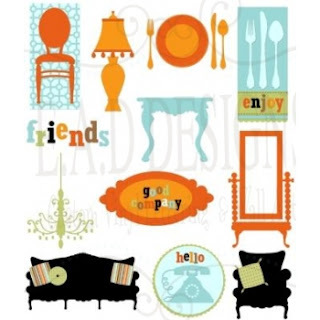 Designs weekly Monday hop! I'm the first stop on the hop today - you should have arrived at my blog from the E.A.D. Designs blog! The hop officially begins today at 10:00 a.m. EST! Today my card uses the adorable E.A.D. Designs Good Company Stickerz set! And guess what, if you want to win this set of E.A.D. Designs Stickerz, be sure to complete the hop and leave a comment on each stop, including the E.A.D. Designs Blog to be entered into a random drawing! The winner will be announced next Monday! My card was inspired by this month's E.A.D. 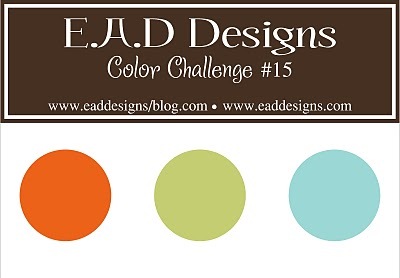 Color Challenge #15 and uses the co-ordinating Good Company Stickerz set . Extra products used on my card: Neenah cs, MME dp, Prima and u/k bling, SU punch and button, handmade ribbon and DMC floss. Inspiration for my card also came from this week's sketch #128 at Card Patterns! Pretty! I love the sparkle. TFS! Awe, I love this! The ribbon really adds a lot :) TFS! Great card--I like the layout and the colors. so pretty, love the ribbon! 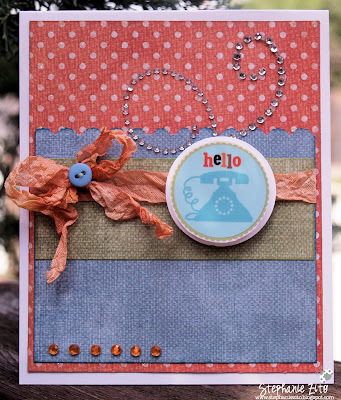 Beautiful card, yummy wrinkled ribbon and gorgeous colors! Thank you for playing with us at Card Patterns this week! Helloooooooooooo, is RIGHT! What a fetching little number you've shared with us! LOVE your use of the Card Patterns sketch - THANKS, so much for sharing your talent with us! Love the colors and the wonderful seam binding!